Office Technology | Yonkers, NY - Photo Dynamics & Maintenance Corp. 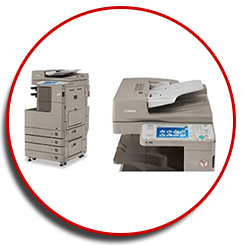 If you’re looking for Multifunction print/scan/fax/copier (MFP) equipment and a reliable solutions support team in the Tri-State area, you’ve come to the right place. Together will create an implement Managed Print Services (MPS) for your business needs. Whether lease finance, purchase, new or preowned Photo Dynamics & Maintenance Corp. will provide you with the technology you need to succeed, from training and education to software support and maintenance. Offer Valid for Print Management Only. 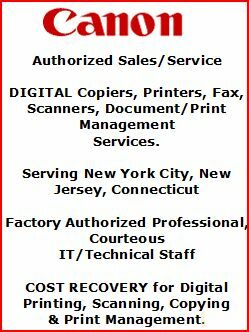 About Photo Dynamics & Maintenance Corp.
Photo Dynamics & Maintenance Corp. (headquartered in Yonkers, NY) has more than 21 years of experience in providing quality Canon office equipment with Cloud enabled software solutions necessary to manage all of your MFP print, scan, fax, and copy needs. With the largest automated in-house parts inventory in the Tri-State area, we have the expertise and training to design and implement the most efficient network for your unique business. The success of your business is one of our top priorities, this is why we provide Managed Document Services (MDS), equipment support, and training along with our products to ensure that workflow runs smoothly. We will consult with you on design and system for your business, together we will also analyze your network for ways to improve cost functions, minimize wasted resources, and increase your company's overall workflow productivity. Contact us today to find out how, together, we can improve your business. Thank you for your interest. For questions or comments, please use the information listed here. We look forward to working together for a long term,productive & efficient relationship.